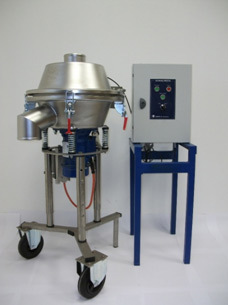 Builder(Manufacturer) of tamiseurs industrialists and specialist of the technology of the ultrasounds for more than 25 years, SODEVA proposes you a complete range of vibrating tamiseurs, his system of décolmatage by ultrasounds and services(departments) such as the canvas covering of your sieves. 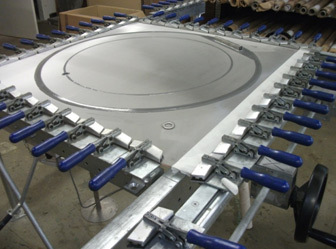 As manufacturer of tamiseurs, we have the freedom to be able to fit out machines at your convenience thanks to the integration in our premises(places) of our Engineering consulting firm, workshop(studio) of boilermaking and canvas covering. 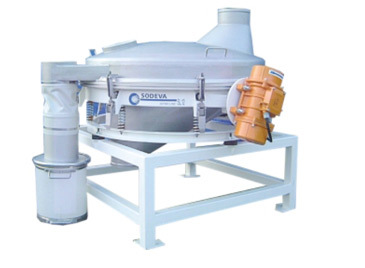 For your needs for separation of powders or filtration of solids / liquids, we propose you tamiseuses of classification conceived(designed) for the sieving with any percentage of refusal. We guarantee you a precise and reliable sieving of classification to 20µm, a grading classification with possibilities of several floors. The regulation of the motovibrateur and the recipes(receipts) prerecorded in the generator ultrasounds will give you a sieving in full surface of the painting(cloth). 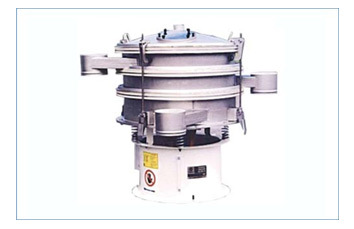 To guarantee to your customers a quality of irreproachable powder without foreign body, the sieving of safety(security) realizes, in your process, the separation of the refusals by a sieving of control with strong debit(flow). 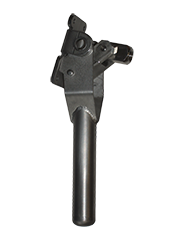 For the cabins of paint(painting) of any marks(brands), SODEVA proposes you a solution which guarantees a quality optimum of the powder of paint(painting) in the entrance(entry) of your pistols.Your new powder and the recycled powder are so sieved on a painting(cloth) of 75µm in 125µm in the same conditions as at your manufacturer of powder of paint(painting). 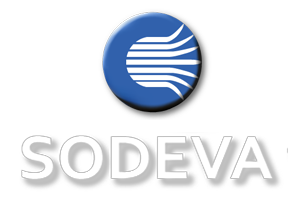 SODEVA assures(insures) an after-sales service of all the spare parts of tamiseurs.We realize the canvas covering of the frames of any marks(brands) with maintenance contracts, our glues are food.We extend the life expectancy(cycle) of your sieves by making the rentoilage, the operation which consists in replacing the defective painting(cloth) of 10mm in 20µm by a new painting(cloth) stuck in the respect for the strict rules(rulers) of the canvas covering.SODEVA accompanies you by realizing tries(essays) of sieving in our premises(places) or on your site in the form of rent.